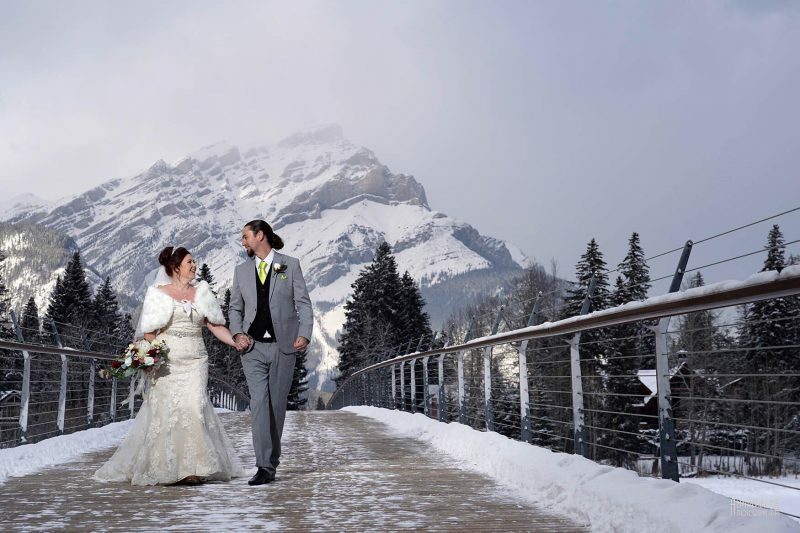 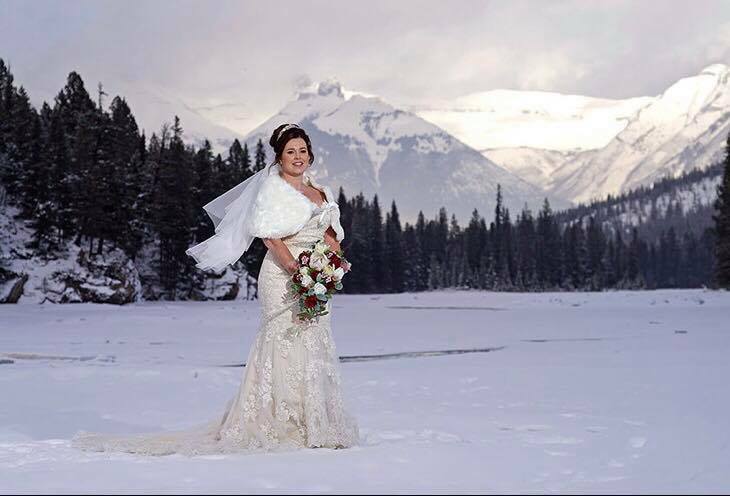 Our wedding day – we braved temperatures of around -10 and stood on some frozen lakes, to get some amazing pictures with the beautiful Rocky Mountains as our backdrop. 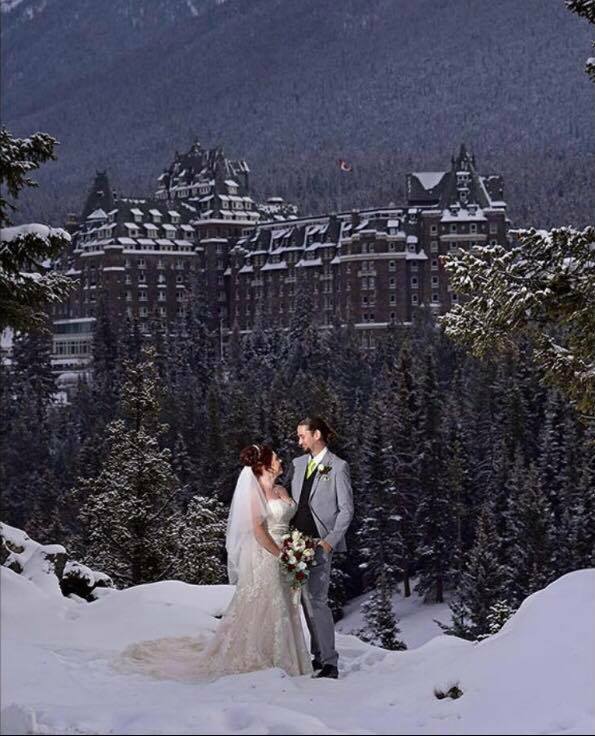 Our ceremony was held in one of the the historic rooms in the world heritage listed Fairmont Banff Springs Hotel. 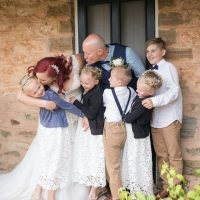 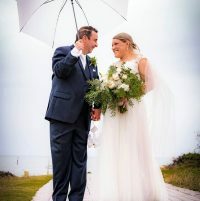 I bought my Christina Rossi fit and flare wedding dress in Ivory/champagne gold at your store with the help of Victoria who had picked this dress out for me and was glad she did as i instantly knew it was the one for me for my special day. 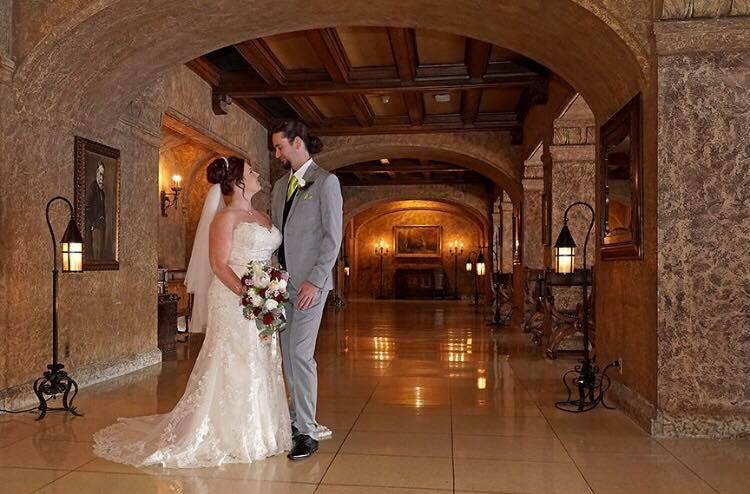 All staff was incredible and nothing was an issue for them. 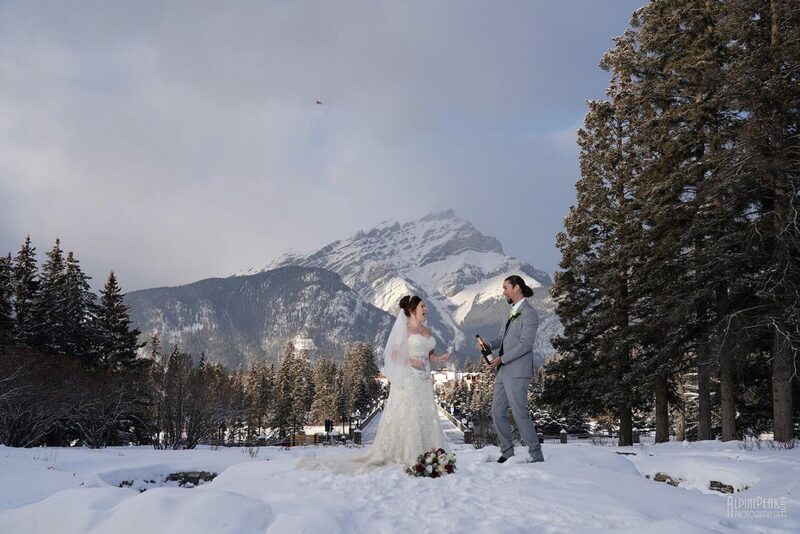 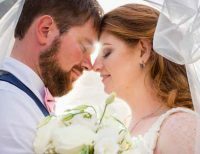 My experience at Jenny & Gerry’s was amazing and will recommend any other bride to come here.